It’s futile to try and predict which players will land a starting role for their football clubs, never mind trying to predict who will get close to earning a Rookie of the Year award after the draft. Never mind doing so before the draft. So I’m going to do just that. Brandin Cooks, Oregon State Wide Receiver – Cooks looks like he’ll fall in the sweet spot of good teams in the first round. Probably in the 20-29 position range. A team like Philadelphia, Carolina, Kansas City, or San Francisco could draft the player and see him quickly become a huge part of the offense. Cooks could endear himself to his new QB early with his impressive footwork and end up as OROTY. Terrance West, Towson RB – Terrance West has populated so many “underrated players in the draft” that at this point he’s probably considered one of the top backs in the draft league wide. West’s low center of gravity (5’9″) and solid build (225 lbs) combined with his above average combine performance could make him a slightly under the radar back heading into the draft for scouts looking mainly at Bishop Sankey, Carlos Hyde, Jeremy Hill, and Tre Mason. West scored over forty touchdowns in 2013 at Towson and looks to make an immediate impact at the next level. Jared Abbrederis, Wisconsin Wide Receiver – Abbrederis was a successful w̶h̶i̶t̶e̶ possession receiver at the University of Wisconsin renowned for his route-running by NFL scouts. Abbrederis is what Bill Belichick might call a “football player” in that scouts like him for how he performs at his position instead of his size, strength, or speed. Hard working guys who can catch the football tend to adapt to the league better than “projects” or “physical specimens” when given a chance. Abbrederis won’t get drafted until rounds three or four but could carve out an important role on an offense quickly given his dedication to gametape study and soft hands. Johnny Manziel, Texas A&M QB – The last time Manziel started for a new football team he brought Texas A&M into the toughest division in College Football with an 11-2 record including a huge Bowl Game victory against a mean Oklahoma Football team. And he won the Heisman Trophy that season. Manziel’s proven that while he does have the feet to get it done on the ground, he doesn’t have to rely on his scrambling. Manziel showed in his sophomore campaign he can make plays through the air and lead his team to victory. If Manziel gets the chance to start in 2014, he can quickly become one of the best rookies ever to play the game. Calvin Pryor, Louisville FS – Pryor is a natural athlete and even if he gets drafted by, say, St. Louis, he joins a star-studded defense ready to start immediately. Pryor may benefit by going to a team such as St. Louis or Kansas City who already has established talent in the secondary. Pryor’s top level play including an interception of master-QB Blake Bortles shows his opportunistic style of play. Jimmie Ward, Northern Illinois SS – Ward’s size suggests he will move to free safety. His play suggests he can create turnovers with seven interceptions in 2013. Coaches and GM’s understand how important turnover ratio is for a team’s success. If Ward can join a roster that maximizes his ball-hawking abilities he can make the shortlist for DROTY. C.J. Mosley, Alabama ILB – Mosley benefits by being really the only first-round caliber inside linebacker in the draft. Ryan Shazier could move to the inside but Mosley has big game experience playing ILB at Alabama. Mosley’s stock’s dropped so that he may join a roster like Philadelphia, New Orleans, or Denver in 2014. Teams of those caliber will give Mosley lots of opportunities to create turnovers or otherwise make big plays. Mosley is a fierce defender looking to join a playoff team in need of an interior enforcer. Aaron Donald, Pittsburgh DT – Donald will likely play exactly the same position in the NFL as he did in College. A position he played very well. Donald’s gameplay at Pitt and physical production at the combine show off his hard work overcoming a shorter frame. If given the chance to start Donald can start wreaking havoc on interior linemen and opposing QBs from week one. Every year hundreds of players are signed as free agents to NFL teams after the draft ends in hopes of making a highly competitive NFL roster. Very few of them go on to have notable NFL careers. Here are a few of the guys who, if not stars, at least “made it” into the NFL. Fauria caught eighteen passes as a rookie, but seven went for touchdowns. A ridiculous 7/18 ratio. A towering 6’7″ target, scouts will continue to wonder why 32 teams passed on the talent at least seven times for this future star to go undrafted in 2013. Destined to be a career backup, Tuel’s already seen starting time with EJ Manuel losing games to injury his rookie season. Tuel doesn’t look like he’ll be a major asset to any team, but he’s thrown some starts on his resume which can only help his future credibility. A former Rutgers WR, former Bucs coach Greg Schiano (also coached at Rutgers prior to coaching in the NFL) brought Wright into Tampa Bay and the TE’s collected decent stats for a UFA rookie. 571 yards and five scores are very respectable metrics especially in a system so devoid of a clear-cut QB situation. A role player for the Packers, Mulumba collected three starts with one hard-earned sack as a rookie. Green Bay routinely fields strong defensive talent, so Mulumba may have more of a showing in 2014 with an increased role and comfort in Dom Capers’ defense. Brown was actually signed to the Texans’ but ended up making a huge difference on a Ravens roster in desperate need of receiving talent. Brown played his college ball at Georgia and made a name for himself as a burner with a high yards per reception metric (17.4 as a Senior). This trend continued with him into Baltimore as the number two to Torrey Smith. The New England Patriots starting punter as of 2014, Allen can boot the ball downfield but could use some work in positioning the ball to force fair catches. Allen improved as the season went on and is a starting specialist on one of the NFL’s finest franchises. Thompkins came out of Miami U. to play for Bill Belichick. Not an incredibly tall or fast player, Thompkins nonetheless shows promise as a capable route-runner and pair of hands. Thompkins did struggle with drops and caught less than half the passes thrown his way during his time on the field. If Thompkins can stay healthy and build a rapport with future HOF QB Tom Brady, Thompkins can become an effective asset on the Pats offense. Worrilow collected 127 total tackles and 2 sacks as a rookie. Not a game-changer yet, Worrilow’s no doubt earned his way into the playbook as a consistent starter with 12 starts his rookie season. The Former Blue Hen will be an integral part of the reason the team improves as it is expected if it does in 2014. Sports scholarships can provide a path for high school students to pay for attendance at a University and a means of motivation for students who may lack other options. The average cost of student debt (according to money.cnn.com) totals to $29,400.00 per student. That signifies an exorbitant weight laid on college grads entering a fiercely competitive job market that values work experience higher than educational achievements. Students who don’t qualify for scholarships predicated on high grade achievement or specific ethnic background have fewer options than their peers when it comes to ensuring they have a bright future. Despite the apparent challenge, student loans are not the only option. There are over 400,000 NCAA Student athletes in the U.S., many of whom attend school on a partial or full scholarship because of their ability to compete in a sport, a large number of options for high school athletes entering higher education. The skills learned in practicing and competing in a sport translate well to the classroom and most High Schools and Colleges require their students adhere to above average academic GPA standards to maintain their scholarship. Many students learn to work hard in the classroom, but some may find added motivation if their participation in a sport relies on their academic competence. After I graduated High School the last thing I wanted to do was think about going to College, never mind think about what I would actually study. I lacked direction and motivation. Had I dedicated myself to a sport with the understanding of how it would impact the decade after my high school experience I would’ve had several more opportunities and a much brighter outlook on life in general. Most teenagers don’t deeply concern themselves with a college payment strategy, but those who dedicate themselves to improving at a high school sport can position themselves with a significant advantage when graduation time comes. Is LeSean McCoy’s two year old son better than Tim Tebow at football? Tim Tebow 6’3″, 236 lbs. Average two year old. 34.2 inches (just under 3 foot) and 31.1 lbs. Tebow is a little over twice as tall as McCoy Jr. and about 7.6 times as heavy. Tebow clearly has more staying power than the toddler but the toddler has a much lower center of gravity making him a harder target to hit (think Warrick Dunn). Tebow’s lauded for his positive locker room presence and humble, team-first attitude. Some players have expressed a distaste for his open expression of Christian faith. McCoy Junior doesn’t form complete sentences and occasionally defecates his underpants. While a little high maintenance most players seem to like McCoy Junior and agree he’s worth the extra effort. Tebow would likely play for the veteran minimum for a 26 year old QB. About $730k per season. McCoy junior hasn’t hired an agent and has only demanded Cheez-its, apple juice and Riley Cooper’s smartphone for mouthing purposes. Total expenses: $2,000.00 per season. Despite his small stature, McCoy junior has a lot to offer an NFL team and seems to be a relative bargain at the position. With three solid years of conditioning, he can’t be any worse of a passer than Tebow was in the pros. The draft is twenty-four days away. Most of the pro football media focus rests on first and second round talent in the NFL Draft. Occasionally you’ll read an article about some “under the radar” guys who soon enough appear over the radar because they’re pretty good. Here are some players who are legitimately “under the radar” from small and big schools who can achieve at the next level. Hewitt’s the prototypical do it all H-back. If H-backs still exist. Hewitt’s shown his ability to block, catch, and run at Stanford and all with ideal size (6’4″, 245 lbs). Hewitt was a humble, team-first guy at a very successful Stanford program in 2013. As a late or even a mid round selection Hewitt sh0uld provide excellent value to fill in at TE, FB, in the slot or to run the ball. Lyerla might be a little more well known than the average name on this list because of the program he played for (Oregon), but he’s got terrific speed and the gametape to back it up. Lyerla’s an athletic marvel though unpolished in his routes. Teams will no doubt be most concerned with Lyerla’s run-ins with the law and decision to leave Oregon midseason for “personal reasons.” If Lyerla can keep his demons under control he can be a premium talent in the NFL assuming there is a GM out there willing to risk the draft selection on him. Furr plays strong safety but looks like a linebacker. He weighs in 232 and 6’3″. Furr is a little older than most draftees playing at Memphis before his time at Fort Valley State, but he’s still young and looks exactly like the type of player Seattle drafts late and then carves into a pro bowler. Furr’s an experienced and physical talent that can bloom into a starter or physical role player with some grooming. At 6’7″ and 315 lbs, Kistler has a huge frame and started for three seasons at Montana. Kistler would’ve been a premier Tackle at the FBS level and has the physical tools to be an above average tackle in the NFL. His dimensions suggest he can start or perform as a solid backup and play at right or even left tackle if he transitions to the pro game well. Coaches who like to add O-linemen in the later rounds and develop them might see a gem like Kistler and transform him into a reliable starter. Erle Ladson and Pluto both missed the cut because they are too small to be planets, but Ladson’s almost big enough. Ladson weighs 330 lbs and stands at 6’6″ and participated in the Senior Bowl this season. Ladson played an integral role on a high scoring Delaware offense and started for three seasons. Ladson is an absolute monster and can become a starter at the next level if given time to adjust to the quickness and explosiveness of NFL pass rushers. Small school players can be risky, but Ladson has a ceiling that reaches the stars and an impressive resume at Delaware. Price played for a relatively well known Washington program under current USC head coach Steve Sarkisian. There hasn’t been an overflow of chatter about QB’s in this draft class outside of the top ten guys at the position or so. Regardless, Price demonstrated a high level of play at Washington but stands at 6’1″ and plays in the same conference as Marcus Mariota, Brett Hundley, Sean Mannion, Taylor Kelly, Cody Kessler and Connor Halliday. Price bounced back from a rocky Junior season with an impressive 8.43 ypa and career low six interceptions (counting seasons where Price started full-time) as a Senior. Price isn’t a highly touted passer among most NFL pundits but can become a solid backup for any team with his passing resume and compete for a starting job evidenced by the maturation of his play on a Washington club without tons of receiving talent for Price to lean on. Indiana leaned on Houston and Tevin Coleman to do the dirty work (running the ball) for a productive Indiana offense in 2013. While Houston’s sample size isn’t as large as other running backs (424 carries in 3 seasons) that should only mean Houston’s got more life in him than other senior running backs. Houston also totes ideal size at 6’1″ and 230 lbs and a nose for the endzone with 25 touchdowns over three seasons. His 6.7 ypc as a Senior proves he can make the most with what he’s given as a power-back and can become a starter as a bargain-bin acquisition. Williams spent time at Oklahoma as the lead back until his suspension this past November, presumably for legal reasons. Williams may have become “expendable” when Oklahoma RB Brennan Clay put up an otherworldly performance against Kansas State with 200+ rushing yards and two scores. Williams has put up great production against top-level division one defensive talent and warrants taking notice this off-season for NFL teams. Whatever Williams’ unknown infraction might be, he’s a bargain player who can add value to teams in the late rounds. Tipton missed most of 2013 due to injury but looked sharp in CMU’s pro day. Tipton has desirable measurables at 6’0″ and 221 lbs. His best season came as a Junior in 2012 with 18 scores and 5.9 ypc over 1400 yards. He finished off his career at Central Michigan with a 216-yard, four touchdown performance against rival Eastern Michigan. The RB market has plummeted in the past 18 months so Tipton’s services will likely be available as an UFA. The turnout of high level talent from college bottlenecks at the Draft and at GM’s/Coaches personal preference for what they want in a player. Half of these guys will never play a down of pro football, but probably could become high level starters in the right circumstance. Only time will tell, good night and good luck. The Texans need a leader on offense, someone not afraid to stand tall in the face of danger. Who better to lead than The Captain America. Not only does Steve Rogers have superhuman strength and agility, but he has a flying shield he can use to knock pass-rushers off their feet if necessary. The Rams have a solid roster on paper, but their starting quarterback keeps breaking. The RoboCop metal suit should help Bradford stay physically together through 16 whole games in one season. Also, Bradford can use the suit to fight crime in the second most dangerous city in the U.S. at nights and during the offseason. Browns head coach Mike Pettine is a defensive genius. He helped Buffalo’s defense improve drastically during his time in with the Bills. Geniuses always think outside the box. Pettine knows if he tries to coach his players on defense to just tackle the player on offense with the football, Cleveland will just have another losing season because of the curse placed on them preventing them from going to the superbowl. Instead of doing things the old fashioned way, Pettine can have the Cowboys cheerleaders distract the other team with their charm and beauty and then have Josh Gordon run the ball in for a touchdown every time. Oakland Football is all about speed and size. And when it comes to speed and size, there aren’t much better combinations of the two than the F-35 Lightning II. She might be a little pricey at over 150 million dollars, but the Lightning II travels at over 1200 mph. NFL defenses will have a hard time keeping up with an offensive weapon of that caliber. Al Davis would truly be pleased with the selection. The Falcons struggled mightily to run the ball in 2013. 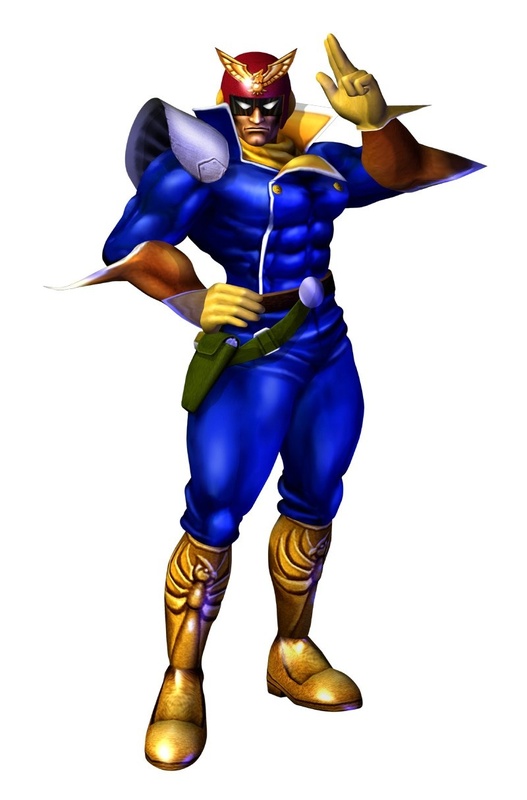 And if there’s one thing Captain Falcon is good at, it’s…having huge thighs. And those are important for playing running back in the NFL. Just ask Giants RB Peyton Hillis. Pro Football is the biggest sport in the U.S. but so few women find the sport interesting. Lovie Smith can draw an untapped market by drafting actor Zac Efron to play for the Buccaneers. He might not be a terrific athlete, but he can increase home field advantage by increasing attendance at games. The increased revenue Mr. Efron brings to Tampa Bay can allow them more money to spend on stadium renovation, coaching staff hires, and more gatorade for the players. I don’t know much about G.O.T., but I do know Minnesota recently lost DE Jared Allen and needs a physical presence to replace him. Drafting the mythical warrior should allow the front seven to put more pressure on the quarterback and possibly force opposing QBs to wet their pants. 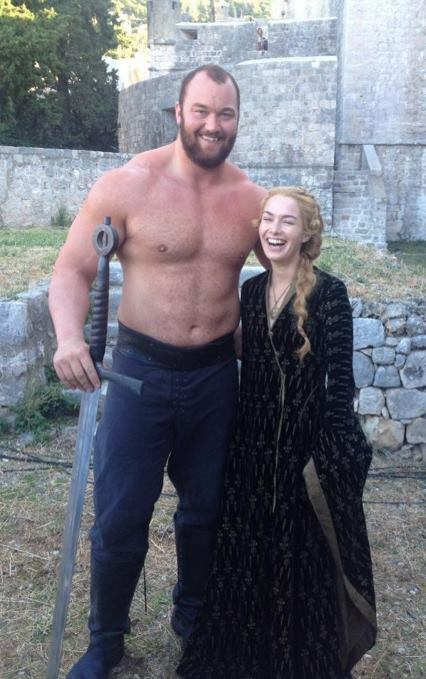 Some have questioned character concerns for Gregor because of his history of barbaric murder and other evil deeds, but character questions have never stopped talented NFL prospects from succeeding in the past. Young passer EJ Manuel’s had a challenging time connecting with his receivers in the endzone. Instead of using receivers, Head coach Doug Marrone will have Manuel pass the ball to a U.S. Government created drone. The drone can fly and instantly calculate the speed and trajectory of the football and catch it with perfect accuracy every time. Also, Buffalo fans can feel safer knowing big brother is watching them at every game. In fifty years, all the NFL players will have the physical dimensions of Lions wide receiver. Why you ask? Not because the game is getting bigger, faster, and stronger. Because Lions management will clone Calvin Johnson, the perfect specimen to play every position on the roster and never have to draft from college ever again. Eventually other teams will steal the CJ formula and all teams will try to outsmart each other in a match of Johnsons vs. Johnsons. – OL/DL are the second most likely positions in the NFL to be busts. Offensive linemen in particular have a reputation for being “safe” picks. Wide receivers unsurprisingly are the most likely to bust. – “Physical specimens” can be busts in the NFL. History’s shown us Robert Gallery and Aaron Curry as examples of players with “physical beast” potential who simply can’t handle the transition. “Ultimately, the biggest factor in whether a player succeeds or fails in the NFL isn’t his height, weight, college stats, workout numbers, teammate testimonials, clean urine or clean bill of health. It’s whether the team that drafts him understands his strengths and weaknesses and will put him in a position to maximize those strengths and minimize those weaknesses.” – Ty Schalter, NFL National Lead Writer, bleacherreport.com.